We often talk about how fantastic Twitter and Facebook are for connecting with customers, but LinkedIn is best for connecting with fellow professionals. LinkedIn is the platform for expanding professional contacts; you and fellow members of your garden business can make meaningful connections with fellow innovators. Below are 6 quick and easy steps to maximize your garden industry connections on LinkedIn. Alright: make professional connections… but, to who? Potential employees? Potential business partners? Future clients? Have a clear idea of why you and garden business are on LinkedIn. The more specific your goal is, the better you’ll be at achieving it. Your summary should be focused on your unique voice and role at the company. Don’t just copy/paste the about page on your website; how bland! Instead, use your 100-250 words to create a memorable image about who you are as a person and an employee. Nothing says “I just don’t care about this” quite like the facial silhouette that’s given to all social media profiles. Here’s your chance to pair your name with a face. Upload a professional, sharp headshot. If you’re uncomfortable sharing your image with everyone, change your privacy settings, so only your connections can see it. Now that you've got a profile you're proud of, let the world see it! Posting statuses will increase your views on your page. Statuses can be specifically about good news in your garden business, or you can share content that you know fellow professionals, the ones you want to connect to, are likely to read. It's not how many connections you have, but how many valuable connections. Be a bit picky when accepting connections; it's ok to turn a few down. Your network is only as valuable as the strength of your connections. 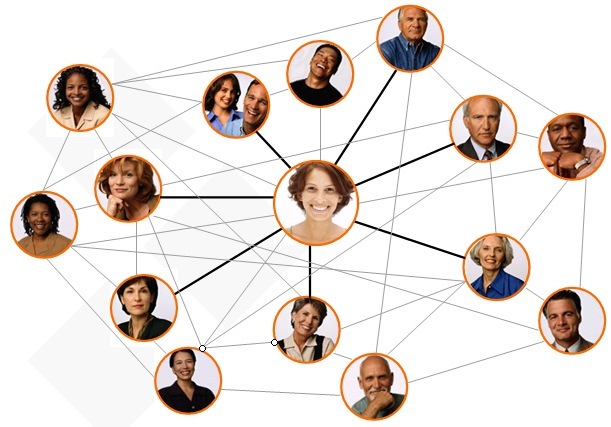 Try to connect with individuals you may work with through one avenue or another. This is the golden tip for using LinkedIn to its full potential! To begin, return to your goals. Then, identify three groups that align with your LinkedIn mission. If you can't find a group that's just the right fit for you, start a group! Groups are the best way to truly foster a conversation with connections on LinkedIn. It is here you can seek answers, ask questions, or just soak in the knowledge! 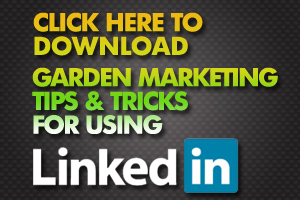 To get even MORE tips for how to use LinkedIn in the garden industry, download our e-book!